Left hand awning leg for Fiamma F45 S awnings from 350 to 450 lengths. Also compatible with previous versions including F45 Ti, F45 I, F45 Plus and F50 Pro awnings. Right hand awning leg for Fiamma F45 S awnings from 350 to 450 lengths. Also compatible with previous versions including F45 Ti, F45 I, F45 Plus and F50 Pro awnings. Right hand awning leg for Fiamma F45 S awnings of 300 length. Also compatible with previous versions including F45 Ti, F45 I, F45 Plus and F50 Pro awnings. 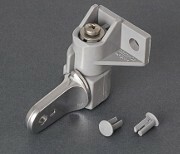 Screw and handle which tightens to lock the telescopic awning leg on a variety of Fiamma F45, F65 and ZIP awnings. Includes winged screw and washer. 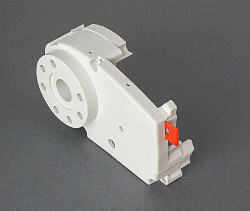 Replacement gearbox and winding eye for various ages of Fiamma F45 and Fiamma ZIP awnings with white winding eye. 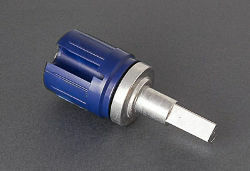 Roller tube end part ratchet device which fits to the right hand side of roller tube on Fiamma F45 awnings. 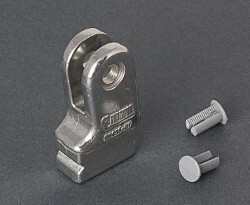 Metal leg top to fit to a range of Fiamma wind-out awnings including versions of F45, F50 and and F65 awnings. 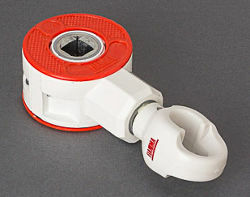 Left hand inner end cap to fit Fiamma F45 Ti and F1 awnings. 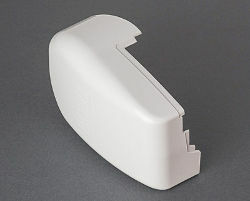 Left hand outer end cap to fit to Fiamma F45 Ti and F1 awnings in Polar White colour. 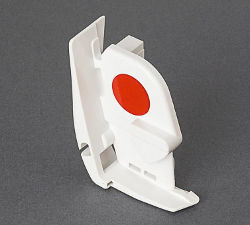 Replacement plastic end cap to fit the Left Hand Side of the front lead bar on Fiamma F45 Ti awnings. 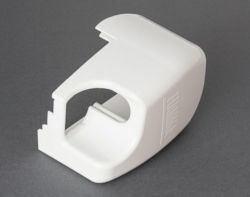 Right hand outer end cap to fit to Fiamma F45 Ti and F1 awnings in Polar White colour. 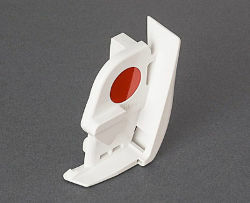 Replacement plastic end cap to fit the Right Hand Side of the front lead bar on Fiamma F45 Ti awnings.